The ACT’s Next Generation Energy Storage Program will provide solar batteries to over 5,000 homes and businesses by 2020, offering $25m of funding so ACT residents are able to take advantage of rapidly evolving solar battery technology at a subsidised price. “We’ve already had around 400 batteries installed across the city. It’s providing over a megawatt of storage which is both helping households cut their energy bills, manage their own energy usage, but also provide backup for the grid here in the Territory,” he said. “The battery storage roll-out program is building on Canberra’s reputation as a globally-recognised hub for the renewable energy industry,” Mr Rattenbury was quoted as saying – noting that the program will offer support of up to $825 for each kilowatt of sustained peak output for homes and businesses who install a battery (it can be connected to a new or existing PV solar system). The government estimates that this will represent a subsidy of approximately $4,000 for an average household solar system. Six partners have been awarded $3m in grants to help fund the project: ActewAGL Retail, Energy Matters, EPC Solar, Evergen, ITP Renewables, Origin Energy, Power Saving Centre, and Solar Hub. EPC Solar and Evergen were already in the project, the rest are new additions. For more information and how to apply, click here to download the actsmart battery storage fact sheet. 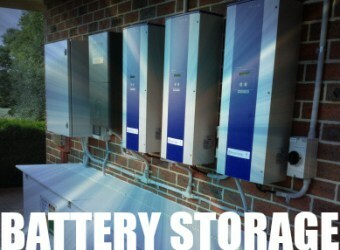 Relectrify: Recycled EV batteries for home storage. ← Chernobyl Solar Plant to be erected at ground zero.